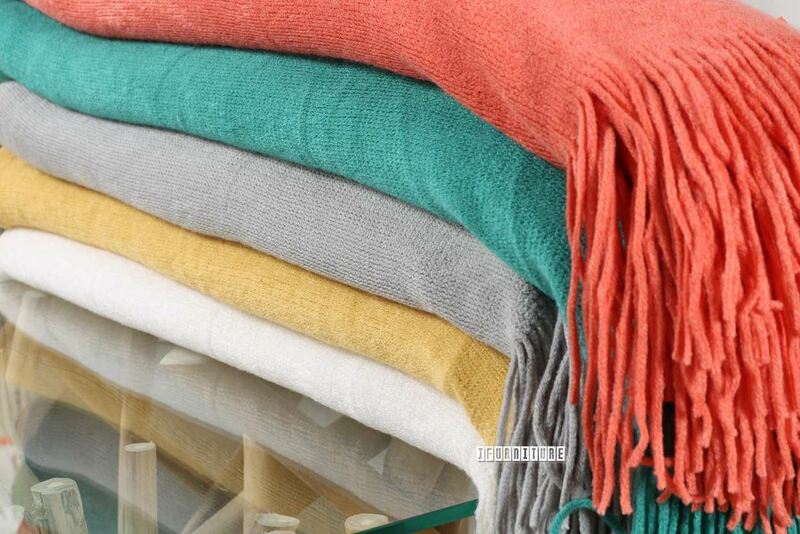 The THROW 35 comes in a 130x150cm size, plus 10cm tassels on each end. The THROW 35 comes in a 130x150cm size, plus 10cm tassels on each end. It has a smooth, soft pattern, and is made of a cuddly mix of 60% Polyester/40% Acrylic, with narrow tassels on each end. Here's an inexpensive way to change up, or brighten, any room!